2017 Annual Lectures Series held at the Holiday Inn Westshore Hotel, Tampa, Florida. Guest Speaker, Okey Ndibe Topic, "Ties That Bind: Shared Memory and History between Africans and African Americans" was the theme of the evening"
Guest Speaker: Okey Ndibe, novelist, political columnist, and essayist. 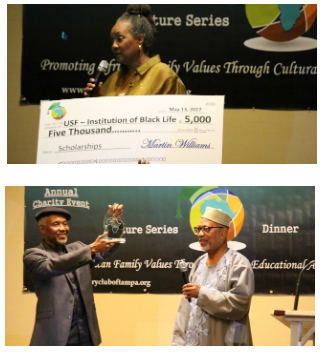 Topic – "Ties That Bind: Shared Memory and History between Africans and African Americans" was the theme of the evening".